Retracing the spiritual and mystical path he has followed since childhood, Alejandro Jodorowsky re-creates the incredible adventure of his life as an artist, filmmaker, writer, and therapist--all stages on his quest to push back the boundaries of both imagination and reason. Not a traditional autobiography composed of a chronological recounting of memories, The Dance of Reality repaints events from Jodorowsky’s life from the perspective of an unleashed imagination. Like the psychomagic and metagenealogy therapies he created, this autobiography exposes the mythic models and family templates upon which the events of everyday life are founded. It reveals the development of Jodorowsky’s realization that all problems are rooted in the family tree and explains, through vivid examples from his own life, particularly interactions with his father and mother, how the individual’s road to true fulfillment means casting off the phantoms projected by parents on their children. The Dance of Reality is autobiography as an act of healing. Through the retelling of his own life, the author shows we do not start off with our own personalities, they are given to us by one or more members of our family tree. To be born into a family, Jodorowsky says, is to be possessed. To peer back into our past is equivalent to digging into our own souls. If we can dig deep enough, beyond familial projections, we shall find an inner light--a light that can help us through life’s most difficult tests. 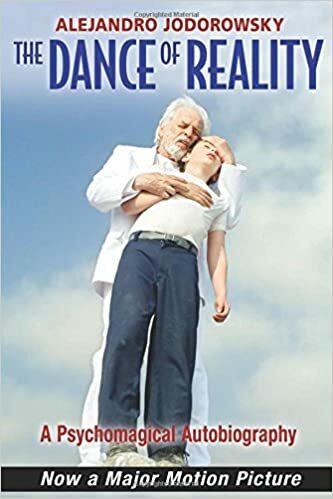 Offering a glimpse into the mind and life of one of the most creative and enigmatic visionaries of our time, The Dance of Reality is the book upon which Jodorowsky’s critically acclaimed 2013 Cannes Film Festival film of the same name was based.